Growing tired of the traditional destinations, we chose an off-beat location this time. The more I searched on the internet in order to plan to go to Spiti Valley in Himachal Pradesh, the more I realized that it would be unwise to do so without the help of someone who knows enough. We chose to take a road trip in a car with an experienced driver to cover maximum ground and do so safely, as it takes days together to cover these places on a bike and can be dangerous to attempt it yourself, the first time (which I witnessed many lucky people do, assuming they are still safe). We planned an extensive trip for 8 days starting from Shimla ending in Manali, covering all the places of interest. This helped us a lot with acclimatization which would’ve been challenging had we gone from Manali to Shimla. On Day 1, we covered 263Kms from Shimla to Chitkul Via Sangla. The time spent in travel was quite a lot, some of the roads were really exciting but also frightening. But our destination for the day very well made up for that. Chitkul is the last inhabited village at the Indo-China border located at an elevation of 11,000ft above sea level. It was a small village and we could see a few houses, a temple, a school, a playground, a few people going about their daily routine. Surrounding this was vast lush green land, and mountains painted in green, brown and white in every possible direction. I couldn’t help but wonder how magnificent it must be for these villagers to live amidst a miracle of nature, watching these giants change colours morning to night, from summers to winters. Maybe I’ll let the pictures do rest of the talking for you. The stay that night at a nature camp in Sangla, was the first time I experienced living in a Swiss tent. I wanted to stay on for longer but unfortunately we had to keep moving ahead. We were off to Nako the next day which was 129 Kms away. The roads we encountered here were spine-chilling. “Wait for what’s in store on the last few days” said our driver, watching us amazed by the treacherousness of these roads itself. 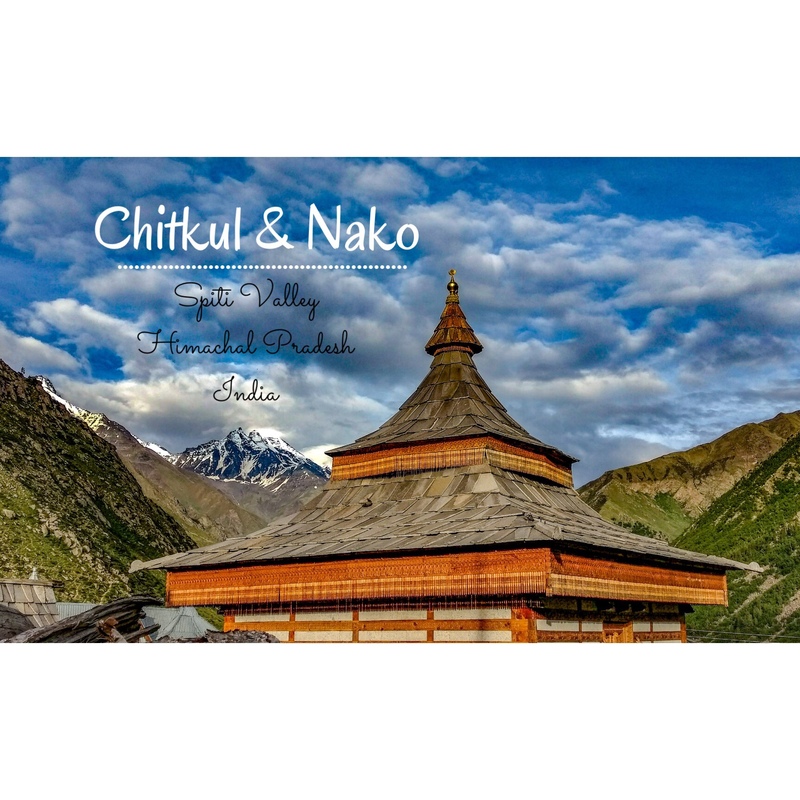 Nako too, is a village in Kinnaur district of Himachal Pradesh at an altitude of 12,000ft. We visited the Nako lake right across our hotel and went up for a short trek to catch the sunset at the old Nako monastery. The rest of the evening was spent gazing at the vast starry sky from our hotel and the resultant feeling was a precise blend of calm and ecstasy. We spent the next morning exploring the village and the new monastery. Behind the monastery was a narrow curved road looking down on more snake-like roads going down the mountain. Straight ahead, there were mountains everywhere, spread so far across, it was hard to find the horizon. Standing at the edge of the road, watching those snowcapped mountains surround me, feeling the wind gushing in my face was sheer bliss that I experienced. Next The Spiti Archives: Julley from Tabo and Dhankar!